Interest, like beauty, is in the eye of the beholder. 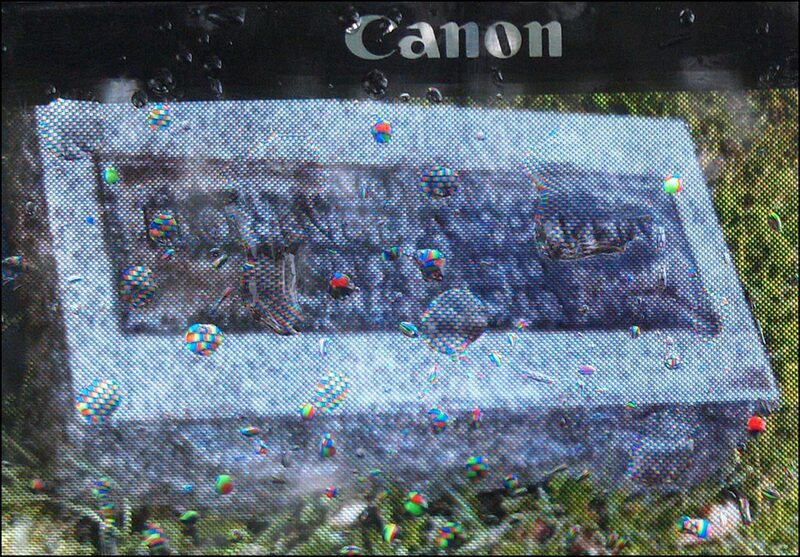 My wife wanted a recording of the cemetery stone; I thought the process was more interesting. Not necessarily pleasant ("It was a dark and stormy day..."), but far more interesting. I understand the picture of the stone came out fine for her purposes. For mine, this picture of the picture of the stone seems better. The camera serving as subject is a Canon A710; the camera taking this shot was an HTC Droid Incredible 2. No devices were injured in the making of this picture. Very funny, first I thought it was a picture of a print with rain on it but couldnt understand how the printer could print square blodges . Interesting, the idea looks great at this magnification.